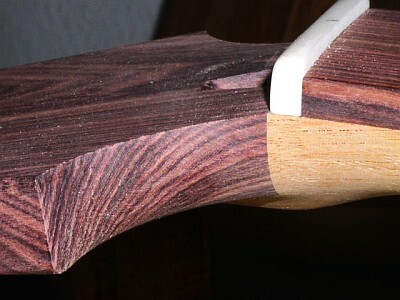 The end trim covers the joint where the guitar´s sides meet at the tail block and completes the body binding. 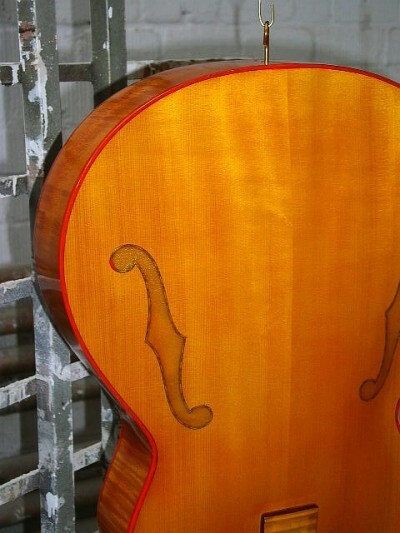 The saddle later guides the wire for the tailpiece holding the strings. 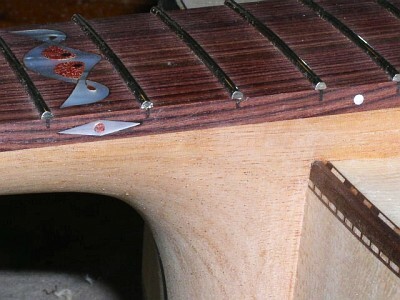 The pickguard protects the top against damage when you really lean into it. 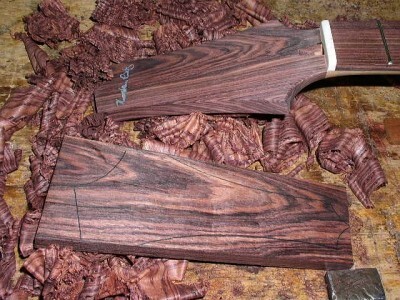 The tailpiece and headstock are made of the same piece of wood and with corresponding design. 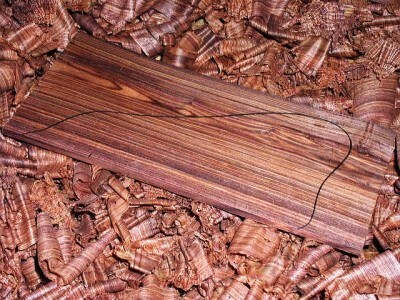 I chose to give the guitar a "honey blonde" finish. 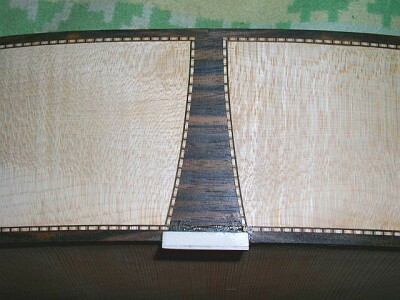 To get the bindings to glow and form a nice contrast to the guitar´s color, they are taped off before the shaded laquer is sprayed. 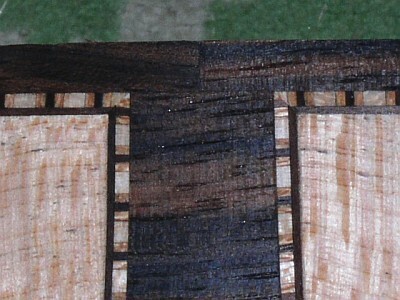 The finish will take about two weeks drying time before it can be polished.